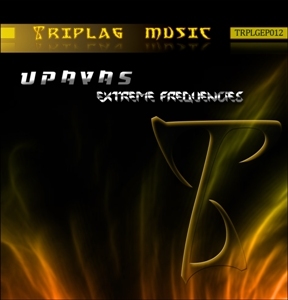 Triplag Music is proud to present Extreme Frequencies, a new release by Upavas, who fell in love with psychedelic trance music in 1986 in Goa, India. He has since established himself as a trance live act in North America and writes music in all trance subgenres, from ambient to full on, darkpsy and even hi-tech when the mood strikes him. This time around the style is definitely on the night-time tip, offering labyrinthine worlds of sound for daring listeners to explore. MP3 Download | FLAC Download | WAV Download · Download count: 4,796. I have two other tracks by him, one I like on Freaky Shamanic Rituals, and another that I like even more on Tribalessence 2. So this EP was a very pleasant surprise. Strong beats, powerful basslines and great sounds on top of that. Very good. psy wasn’t a genere in 86. In the original text it actually says electronic music, not Psychedelic trance music, I guess they decided to make psy out of it… Back then we actually calked it “House Music”! Love Mustard Greens, amazing work.